The quality of medical care in the Catskill region is unfortunately not on the level of care that you are accustomed to in the city. Certain medical capabilities and treatments are just not available in the local community hospitals (as is well known both inside and outside our communities) and frequently results in delay of proper care. Some examples include but are not limited to the following; interventional cardiac care (catheterizations, stenting, cardiac surgery, etc), accredited stroke centers, high risk obstetrical and neonatal care, pediatric emergency centers, pediatric ICU and specialty care, trauma centers, adult and geriatric specialty care, etc. Catskill Hatzolah is an organization characterized by self sacrifice. 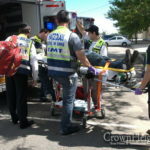 Its members are presented by an overwhelming task of providing pre-hospital emergency care for well over 250,000 Jewish summer residents; they should live and be well. Their resources are frequently stretched thin in their Holy work. It is incumbent on us to support them with moraland financial help. Every Jewish soul is Divine and needs to be treated as such. Every Jew in medical need deserves swift, prompt, and state of the art medical care, whenever and wherever possible. Patients have THE RIGHT TO REQUEST FROM HATZOLAH TO BE TRANSPORTED TO THE BEST APPROPRIATE MEDICAL CENTERS AVAILABLE OR OF THEIR CHOICE. It is self-understood, that if the patient is medically unstable (G-d Forbid) as per Department of Health protocols, the patient needs to be taken to the closest APPROPRIATE medical center. However, in many cases, patients are stable enough and SHOULD be transported to the best medical centers available or of their choice. We were advised to proclaim, by Rabbinical Authorities, that every Hatzolah member is required by Halachah to provide the highest standard of medical care and guidance and to treat each patient as a member of their own family. Hatzolah members and the public should be aware of the following: patients should be transported from the scene to the best appropriate hospital in the first place. The notion of “transporting to the nearest facility”, however substandard, “to stabilize and then transfer to a better facility”, is against Halachah, DOH protocol, unethical, and can result in unnecessary morbidity and mortality, G-d Forbid. The public should be aware of resources available to them. If you need medical advice: for example, which medical center is most appropriate for your particular medical problem, or if you find yourself, for whatever reason, in an inappropriate emergency room or admitted at that same hospital. 845-783-PALS (7257) or KJ Hatzolah at 845-783-1212. This letter is misleading. Firstly, patients who have serious medical conditions should not go to the Catskills. It is morally wrong for patients with serious medical conditions to “demand” that they be transported to the city by Hatzoloh. Why should an Hatzoloh member give up 3+ hours of his time to do a transport to the city, if the patient was reckless enough to go up to the Catskills? Of course there are exceptions. But the reality is these transports are too risky and do violate all REMSCO and NYS protocals, which can result in lawsuits and loss of license. Well, why should Hatzoloh respond to a MVA by someone who was reckless to drive without license or DWI? Why should Hatzoloh help a kid reckless enough to climb a tall monkey bar? Is it your job to dictate people’s choices in life, or did you commit yourself to deliver top-notch quality health care? as a Hatzoloh member I can tell you that this is not only a summer upstate issue this is a problem all year. most of you may not be aware that the standing orders in Boro park and Flatbush is that no patient will be transported to the city unless you are a Hatzoloh members family or a prominent name in your community. My argument is not that people shouldn’t go upstate. As I clearly said “there are exceptions” and Hatzoloh will transport patients to the city when these exceptions occur. However, the expectation level is ludicrous. As I said, people have the Chutzpah to “demand” that Hatzoloh transport them to the city for nonsense. Furthermore, when Hatzoloh doesn’t transport to the city (which is either because there is no need to. Or because it is to risky) people spread false rumors which lead to politically motivated letter like the one posted today. Note, the author wrote “THE RIGHT TO REQUEST FROM HATZOLAH TO BE TRANSPORTED TO THE BEST APPROPRIATE MEDICAL CENTERS AVAILABLE OR OF THEIR CHOICE” This statement is outrageous. For example, if a child needs stitches, should Hazoloh transport the child to Columbia Pediatrics because it is the best pediatric hospital? To what level do Hatzoloh members need to dictate themselves to patients requests. Hatzoloh members have always, and will always, do what’s best for the patient. But many times patients and there families do not make the best decisions.Patients and there families need to understand that it isn’t always best to travel to the city. By posting letters like this (which are politically motivated, the author is not sincerely concerned) we are sending the wrong message to patients and there families. I’ve seen these cases dumped at inappropriate facilities all too often. And I’ve got news for you: The patients’ clock is ticking and their conditions don’t have “time” either. Precious time is wasted with patients at poultry hospitals, and all because you don’t have time to take them to a competent hospital? I can’t believe you actual said that! I became a Hatzolah member because I wanted to do help others, not because I’m looking to save time and take short-cuts with others’ lives. The question, to me, is what is the right thing to do? To answer that question, I ask myself another question, “What would I have done if my mother is the patient in need of a transport?” If I’d spent 3 hour for my mother because that’s the right thing to do in her case, I’m more than ready to do the same for others, may it take 2,3 4 or even 5 hours! Those who don’t have the “time” to help are excused and free to pursue whichever field they do have the time for. Abused Haztzoloh Member, nice try spinning this into a “politically motivated” issue. If you’re indeed are a Haztzoloh member, YOU very well know what this letter is referring to. No one assumed this being a call for transport of stitches or cosmetic surgery. You, more than any casual reader, would also know how many lives could have been saved, over this and past summer months if only critical patients -who ARE stable for transport- had been taken to an appropriate facility rather than Haztzoloh members saving a few hours by dumping the patient into a local incompetent hospital. Unlike you, the author of this letter DID include a name and contact information and is willing to do anything it takes to save lives – “regardless of how many hours it takes”. I don’t expect you, Mr. Abused Coward / Spin Meister, hiding under a keyboard to do the same. Dare I say “it’s you and your spin that IS politically motivated! Again, Hatzoloh (and I) will always do what’s best for the patient and will transport to the city WHEN NECESSARY. But patients and there families can not “have the right” (as the author wrote) to be transported to any facility they see fit. Most of the times the families are all worked up and decide that this patient needs hospital x in the city. If they do in fact need hospital x, I and my fellow members would gladly take them there. But people do not have the “right” to ask to be transported to the city. Hatzoloh is here to help people, not to be a car service. People need to become educated; Minor ailments and injuries or patients who are critically unstable should not be transported to the city. Again, this letter is politically motivated and is signed by one single individual. Hatzoloh does multiple transports to the city a day, and as I said, Always does whats best for the patient. Don’t let a single individual lead you to believe that the 100’s of members in the Catskills don’t do what is best. To all you abused and upset hatzolah members if the day came that you were asked to give up your radio or quit hatzolah unless you did one transport a month from the catskills to ny you would be signing up on the list. so lets not forget why we are doing this mitzvah! we are members of an organization that helps our own and go above and beyond! Its not our place to judge the miscalculations of a pt, if we are not available we dont go and if there is noone available there are thousands of others who are lining up to join hatzolah who are willing and able. bla bla bla – some of these comments sound suspect. Sure take more members? I like that one. Are you a buff? The one about staying home if you are ill is a beauty too….not! B“H in CH, and we are talking about CH right?, we do NOT have that problem nor politics of WHOM we take to the CITY. One does NOT have to be well connected to be given superior care and concern. I have time and time again gladly transported patients who ”need” to be in a facility in the City. After consultations with either family and or members (senior members or/and coordinators etc.) in terms of safety medically, timing and logistics (there are many issues involved) a decision is then made. Often, we decide to go where the patient wants or/and to the best facility! oh my oh my oh my…. to YIDS from a Yid…… how terrible for anyone to write such a letter/ advertisment.. I have lived all year around in “the catskills” for OVER 35 years and received the best quality care from OUR hospital and all of their employees. I am a breast cancer survivor and had ALL my treatment here including 8 surgeries, chemo, and more..my children and all five of my grandchildren were born here. All of OUR doctors were trained in accredited facilities mostly in NYC. YOU come here, and upset the calm lifestyle that WE are accustom too and no wonder get treated poorly because of YOUR attitudes… and how dare you to speak so poorly of OUR hospital. Please try not to take patients to Kings County Hospital! Throughout history forward thinking people have always been critisized. KJ Hatzolah operates according to Jewish law, views every jew as a family member and treats them as such. They bring patients into competent medical care regardless of distance, time or personal inconvenience. It would behoove other Hatzolah organizations to learn from and emulate KJ Hatzolah. In matters of pikuach nefesh there is no room for politics or personal ego. There is a G-d in the world you know. The bottom line is this – if you are going to trust the Hatzolah members with your lives, then you have to trust that they will take you to the most appropriate facility. If they can incorporate the patient’s wishes, they will. If they cannot, then so be it. I thought this was only an issue in brighton beach and sheepshead bay I didn’t know its also an issue for heimesh ..vhamaivin yavin! Its about time someone had the guts to speak out against the machine! KJ Hatzolah this year did bring two buses into the catskills and will transport when requested. If KY-1 is so “concerned” why doesn’t he insist on transporting all patients that need to go to the city? Interestingly, I did see a KJ bus upstate but it was only in Satmar and Satmar related camps (I saw it on Pleasent Valley Road). If KY-1 was “so concerned” why didn’t he insist to put a bus, say, in Camp Morris? Although his Chesed is outstanding…a letter motivated by anger and politics, such as this one is inexcusable. To #15 &#22, Inquire some history before u comment. Your suggestion is great & exactly what KJ attempted to do, so you are supporting their point. KJ hatzolah has for the last 20+ years – without any PR (obviously u don’t know about it) – driven their ambulance’s up to the catskills & provided assistance to patients by transporting them out from the local “incompetent” hospitals in which they were dumped by the Catskills hatzolah and taking them down to a appropriate facility, even as far as Maimonides of Kimball, NJ, or whatever was needed for each particular patient. They have also done the same to any patient who has called catskills hatzolah & through “unknown & mysterious diagnostics capabilities, without xray, ct scan, mri, blood works, culture, appropriate doctor consultation & without a license to practice such as doctors”, the member on scene left (discharged) the patient home also known as “RMA” Refused Medical Attention, and when KJ Hatzolah was called or they got wind about it through a family member, they have again, driven up with a ambulance, full crew, mostly including a paramedic paid for by KJ & transported that patient to an appropriate facility. See, many a times patients don’t know that they MUST go to the hospital & to an appropriate one even though they are in STABLE condition. It is due to the fact that they are STABLE that they need to find & treat their underlying disease or illness before it becomes serious. Rather patients – who TRUST hatzolah that they’ll treat them as we’d do to our own loved ones – look to our advise as to how they should proceed, which give no legal or halachic right to any hatzolah member to “advise them that they are stable thus staying home”. KJ was not supposed to do it! Catskills Hatzolah has the obligation to do that same job under the same halachic obligation as well as protocol & law, but since they refused, KJ had to do it – out of Kol Yisroel Areivim – in the hundreds & even thousands for the last 20 years resulting in many saved lives & some of them in last minute. 1 argument by Catskills is “we are stretched out thin” “duh! So is that an excuse to provide substandard care to non ”member of family patients’“? Hire more staff, spend the 100K wasted on a CAR 1 vehicle which makes no difference is saving lives & rent more ambulances, hire medics or pay for staff. ”Yes, according to halacha you are supposed to provide proper coverage at ANY cost. KJ has done it for years. If you are allowed to be mechalel shabbos on a remote question of sufik sekunas nefushois (patient danger) you are equally obligated to hire or atleast ascertain that proper coverage is prepared & that patient care doesn’t get compromised due to lack of staff or unlucky of not being born into a member’s family. Bottom line is, KJ Hatzolah offered in the beginning of the summer to station a ambulance in the catskills, staffed with a EMT & a Medic to ASSIST catskills hatzolah in transporting any patient that C hatzolah cannot or refuses to – due to them being “thin stretched with staff & lack of resources” – to an appropriate facility. All that at NO cost to catskills hatzolah. It was to be sponsored by a rabbi who is resting in the catskills for the summer & had a bad personal experience with C hatzolah in the past. KJ has a busy system as it is. They too are stretched out very thin. In addition they were officially used by catsklls hatzolah as half ways, so as to keep the C units in the C. Catskill’s Hatzolah flatly denied that above offer! No official reason were given. But it is clearly understandable that they saw a problem with that – even though it will help the 200,000 that rely on them for excellent service – by having a problem to explain as to why KJ CAN do it & they can not! So, now you know who was doing all this long distance transports without any public relations or claiming credibility for their heroic & Mesiras Nefesh work. It was KJ! And we appreciate them. PS. I forgot #22, the above service was done all these years to, was available to & is still available to anyone that needs to be provided with “proper & appropriate care” and doesn’t have a member as their family & even to member’s family. From satmar to camp morris. Get him permission to station in camp morris, you’ll have ambulance there parked, no problem. There is one thing you all might not know is that Monroe Hatzalah will bill your insurance that’s y they don’t care to drive to Boston. Catskills Hatzalah does not if you can imagine that in the last 5 weeks of the country there 101 transports to the city thats 10 a week. Can you imagine the costs? you know people always answer the question as to why the rabonim dont put their foot down and take issue with the renegade coordinators and executive committees who make major life and death decisions based on nothing but politics, (yes i am making this accusation) because they claim its for the greater good. Well its about time people start to hear the truth! its no wonder that noone except for ky1 has the guts to write their name because we all know what happens then. Me: There’s one thing you guys don’t know. 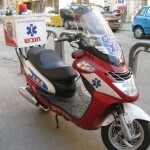 Central Hatzolah is going to start to bill your insurance company for your hospital transports. 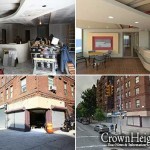 Boro Park is almost ready. Mark my word! Guess whats coming next year? Billing your insurance company by Central Hatzolah for the the hospital transports. Why not do half way’s with KJ? because ONLY the abulance that is handing over the patient to the receiving hospital is the one that can bill. If KJ in doing the catskill for the $140.00 that Medicaid HMO like Americhoice from NYC or Fidelis from Orange pays, why were they doing it for over 20 years without billing? why is OK to use Monsey? they are billing your insurance too? why is it the KJ who’s 90% of its population has medicaid paid health insurance, is transporting their pts to appropriate facilities, even though they are not getting more then the $140 per trip? if the reason is money, they could have dumped them in the local hospitals? why, are the disabled adults and children being transported to columbia or other hostpitals and KJ doesn’t get paid a dime cus these patients have straight medicaid (non HMO)which will ONLY pay if pts are transported to either Arden Hill, Horton, St. Lukes in Cornwall or in Newburgh, hospitals that only 2 percent of kj pts get transported to? why does kj trasport pts to LIJ Schneider’s so that pts should get best care and then still using Queens Hatzolah for half ways, thus, losing the chance to bill the fat $140 because they are no longer agency handing pts over to ER? Mr. 25, you seem like a sharp businessman. Would you have transported a pt 100+ miles for $140 they get in 90% of their billable tranports? considering ambulance wear & tear, diesel, insurance, maintenance, a paramedic cost for the 3 hr drive is almost as much as they collect, using 2 BLS volunteer’s from work or sleep for 3 hrs and all this for $140? (ok, OK, for ALS intervention they get additional $40! how much does meds cost?) would you have operated a business like this? your smear attempt failed. KJ is financially in red cuz its pts first (anyone) with the money as a bonus if they get paid. Btw, you said it right. “Monroe Ambulance” the town EMS also bills. So does FDNY and so does every ambulance system in the entire USA. KJ lives from donations, billings and the Village contributes $40,000 annually as a grant. They are so cash tight, that they are the only Hatzolah system that has downgraded they ambulances from Box to Vans cuz they are 100k cheaper. one more thing to remember, kj bills for survival. if kj had no billing and no donations, they have to option to add a EMS or Fire tax to each house tax bill. also to remember, their system is a SOFT billing system. Meaning, if you have insurance they’ll bill em, if you have no insurance they wont bill you. the pt never pays. yes, they’ll trasport to Boston, not because of the $140 and if they’ll even get that, but for the benefit of the pt. Catskills Hatzalah does not if you can imagine that in the last 5 weeks of the country there 101 transports to the city thats 10 a week. Can you imagine the costs? ME: as above they will bill soon. Thanks for transporting 101 pts to the city and to appropriate facilities. why the rise though in patients that need that? you didn’t to that much in a summer? can I sense competition? limelight? pressure and questions from the public? screw up or almost screw ups? ahh, letters like this help? taking a kj bus up to the C for 2 hrs produces 101 pts that need city hospital? and the cost? I am sure they are unbelievable high. So is it for KJ but they gladly did it. So, now you should appreciate them for the 20+ yrs they saved your money. To 21, yes Heimish. For instance, I believe citywide ambulance which is a commercial outfit to whom h base commercializes the patients who don’t fit the criteria of emergency or the patients who want to go to the city and has no member as family, is owned by a heimishe hatzolah member and he also takes heimishe patients and he’s very heimish in billing his patients (so much mr 27 for hatzolah not billing). Mr 32. I can’t speak about your particular case. I don’t do their billing & I’ve never heard of a $3100 bill. It also doesn’t make sense because if it was relayed with Queens, then kj wouldn’t bill your insurance co. as they weren’t the delivering agency. I have strong reservations about the truthfulness of your claim. But, assuming for arguments sake that it is indeed true, then u must be of the 10% bracket that have private PPO insurance like Aetna, Oxford, Index (school district employee), etc…. Some of these companies pay better Medicaid/HMO but not $3100. But, let’s not forget then when kj responds to a call or takes a relay from the catskills, the pt info requested before transporting does not include “which insurance company does the pt have?” The billing takes place long after the decision to transport to a appropriate facility was made for the benefit of the patient & even to non member families. Now, to set the record straight. The $140 that I’ve mentioned in my prev post is a medicaid pay scale. I bet ya “Mr. 32 Monroe patient” you’ve never heard of that, hah? Yes! Medicaid, Medicare & all Medicaid/Family Health Plus/Child Health Plus HMO insurance co. follow that rate. Some pay $10 more, some $10 less. 90% of the population cannot afford to pay like you $15,000 a year for 1st class insurance. They get theirs from the state. That means, that when kj decides to transport a pt long distance for the pt benefit, there is a 90% chance the pt has ins that follows the Medicaid rate scale. Further, SSI with pts who have straight medicaid (mental, down syndrome & kj has hundreds of em cuz of the school district) kj gets 0.00 for every transfer cuz they don’t take them to the 4 hospitals mentioned above. Thanks for trying sir, but, sorry, whatever I tell u is open & public record. Don’t trust me? Call Monsey or any other outfit that bills for transports. If what I said is not true ($140 + or – $10) I will pay you $3100 , the amount your insurance co paid them…fair deal? But, you’ll need to provide with a stub proving such payout. As my job of 4000 years is to find peace & make shulem, I propose the following win win solution, one that will silent everyone & each party will achieve their goal. The proposal is based purely on the arguments filtered out on this blog. Since KY does billing, makes a lot of money from billing (according to one blogger) & is willing to station a fully staffed bus in the mountains to assist in the transportation of any patient that wants or needs to go to any appropriate facility of their choice, I propose that they station such a bus in camp Morris. Since catskills hatzolah does not do billing as of yet and are incurring the tremendous cost of transporting themselves the patients that fit their long distance transport criteria, I propose that they utilize the above stationed bus for their long distance transports. 1) Catskills hatzolah will get their patients transported to appropriate hospitals at no cost to them. 2) KY will have accomplished their goal of having the Catskills patients transported to appropriate hospitals & by some accounts earn a few bucks. 3) Camp Morris will have coverage from a bus parked on their grounds. 4) Abused Hatzolah man, will no longer get abused in the catskills & be able to rest in peace. This way he will accumulate enough energy to take calls in the city after the summer. 5) Sick patients will again be allowed to vacation the summer in the catskills & won’t have to feel bad that they will abuse the hatzolah, yet they will have the peace of mind that they will get transferred to the hospitals of their choice. 6) Me, Aharon Hakohen, will have yet again succeeded in brokering peace amongst us heimish yidden. Only question remains how to name the above bus? I would name it Morris’ Bus 1) its stationed in camp Morris 2) its facilitated by Morris steinberg…..
See attached bill for the real amount billed by KJ Hatzolah. Not that I mind. let them make 10k for each transport. But enough with KY1’s PR agents writing BS in blogs all over cyberspace.